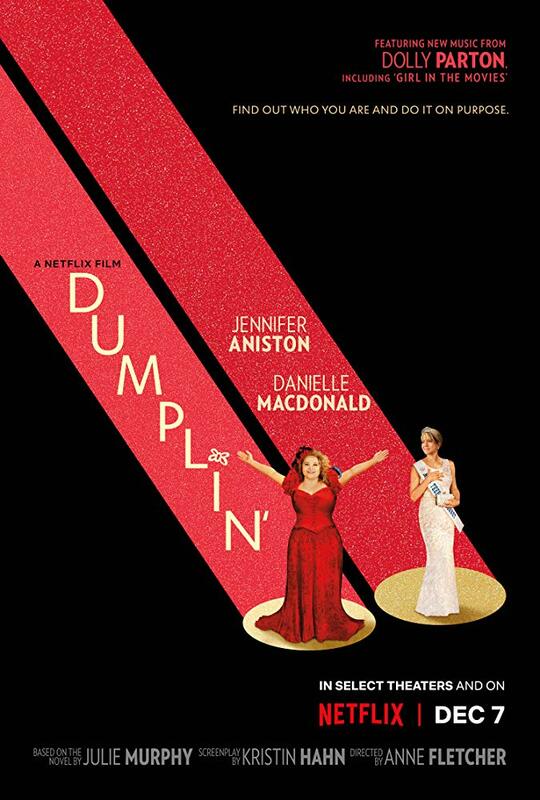 I can acknowledge that Dumplin’ isn’t a great movie; it’s far too long, so much of the script is on the nose, and the whole Dolly Parton homage goes a little unfulfilled. But it might also be one of the more impactful mainstream films I’ve seen this year, for girls and boys, for women and men. With the help of charming performances and a story about how self-esteem can beget happiness, Dumplin’ builds its beauty from the inside out – as it rightfully should – and inspires confidence in the increasingly escalating tightrope act it is when you try to be yourself and to accept the things you cannot change in a world that forces unblemished uniformity. Born and raised in the heart of Texas, Willowdean Dickson (Danielle Macdonald) doesn’t feel comfortable in her environment, let alone her own skin. 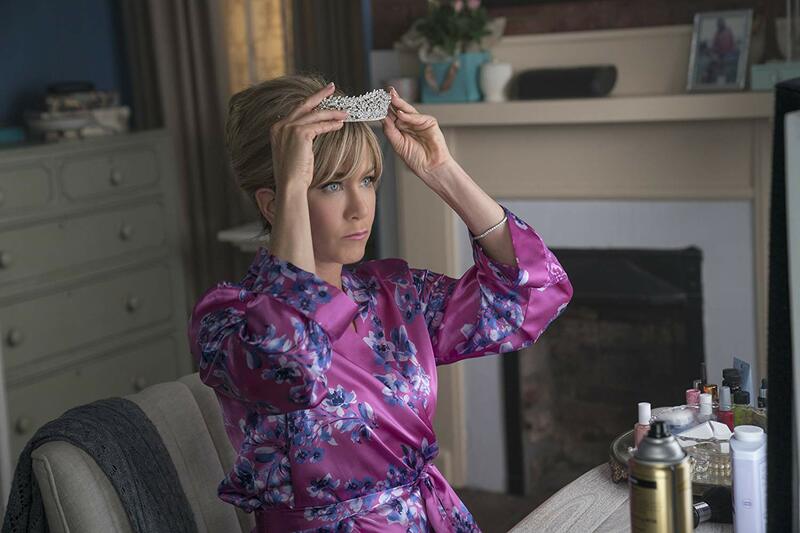 Her mom Rosie (Jennifer Aniston), a Bluebonnet pageant winner way back in her youth and now the program’s director, sees beauty as something that is cultivated rather than inherent to each and every human. Willowdean, never too keen on her nickname “Dumplin,” protests this line of thinking, entering the pageant to expose its hypocrisy and small-minded idea of what it means to be gorgeous. She’s joined by her best friend Ellen (Odeya Rush), the gothic Hannah (Bex Taylor-Klaus), and the scene-stealing effervescence of Millie (Maddie Baillio). They don’t care about winning. For them, receiving a participation ribbon in front of a sold-out crowd is a victory in and of itself. 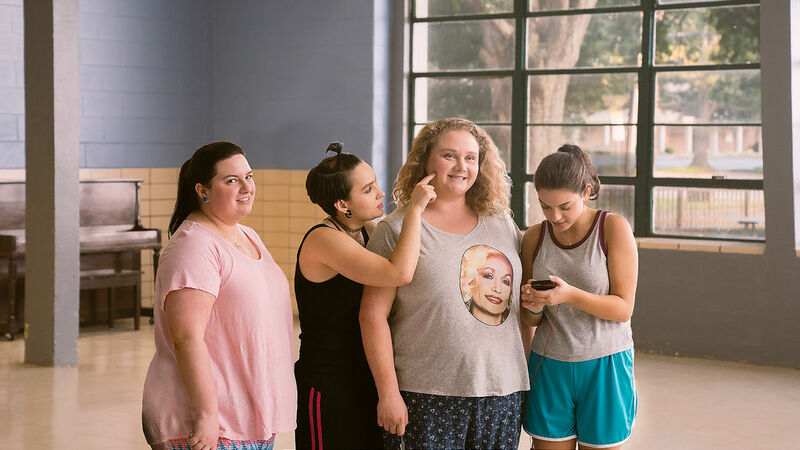 Equal parts Miss Congenitality and Bring It On, while still a little below the overall quality of those titles, Dumplin’ makes up for its lack of character development with a disarming sense of charm and a flair for female empowerment. Most notable of all is Willowdean’s relationship with Bo (Luke Benward), the new guy in town who cooks at the dive diner where Dumplin’ is a server. Maybe it’s because I’ve seen too many bad romantic comedies – or perhaps it’s because too many movies condition us to expect the nice guy to actually end up being a creep – but I was always hesitant about this young man, as is Willowdean. “Why would he like me?,” she wonders over and over (in one profound scene, he goes in for a kiss and she pulls away just before his hand reaches a little roll on her upper back). Bo likes her and Willowdean likes him, yet she can’t accept his affection because she doesn’t like herself. Dumplin’ might be a silly movie, but make no mistake about it…the story deeply understands what it feels like to despise your very own reflection. More than anything, Dumplin’ teaches us a valuable lesson. If beauty truly is in the eye of the beholder, then the old adage must be broken down into the external and the internal elements of the self. When looking for physical beauty, the only assessing eyes that should concern us need to belong to ourselves (similar to I Feel Pretty earlier this year). And as the film shows, recognizing and owning these bodies we only get to live in once helps to magnify the inner beauty that so many people have but can’t express, lacking for confidence and a sense of value. Dumplin’ changes the standards of beauty and redefines them not because it rewrites the rules, but because it refuses to play by them in the first place. This one is a winner in my books.